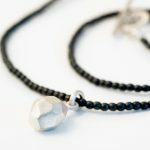 Here is a great selection of really affordable gifts. 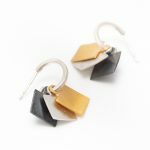 These brand new earrings make a lovely swishing noise when you are wearing them! Tiny silver hoops with 3 movable squares, 1 x silver square, 1 x gold vermeil square and 1 x oxidised silver square. 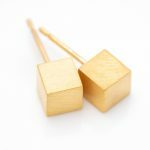 The squares can be arranged in any order, so make a very versatile little earring. A lovely and simple new addition to the cube collection. These tiny hoop earrings are made from square wire with the addition of a tiny dangly cube. Surely you just must have a pair!? Available in all silver (not shown) Gold vermeil hoop and cube (first picture) Oxidised silver hoop with a gold vermeil cube drop (second picture) All have a matt finish. 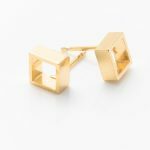 A simple open square silver stud earring. 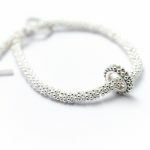 Great for everyday or paired with any of the cube or box collection. 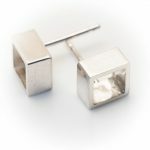 A lovely simple pair of silver cube studs earrings. Also available in gold vermeil (gold plated silver). They have a matt finish and come with a pair of butterflies. 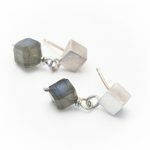 A silver cube stud earring with an unusual square labradorite bead drop. The beads have been drilled diagonally making these a particularly unique small stud earring. If you are not familiar with the Labradorite stone, it's a grey stone from the moonstone family, that has a shot of blue which can be seen at certain angles. 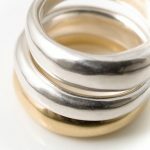 These gorgeous chunky silver rings look great worn grouped together or individually. 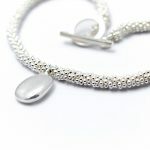 Simple, stylish and, as with most of Alice's jewellery, extremely comfortable and easy to wear. 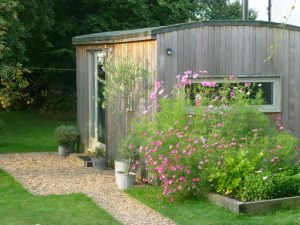 Available in medium and wide versions with a polished or matt finish. 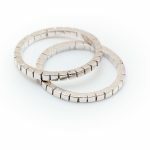 I have one 9ct gold version of the medium chunky ring in stock. Current price is £475. Available in sizes L-Q. 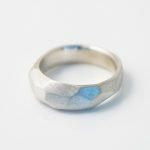 Please contact me using the contact form if you like to purchase this ring.